Meet Charlie!! This little man surprised first time mum and dad by arriving nearly 3 weeks early. Just in time to spend their first Easter together! 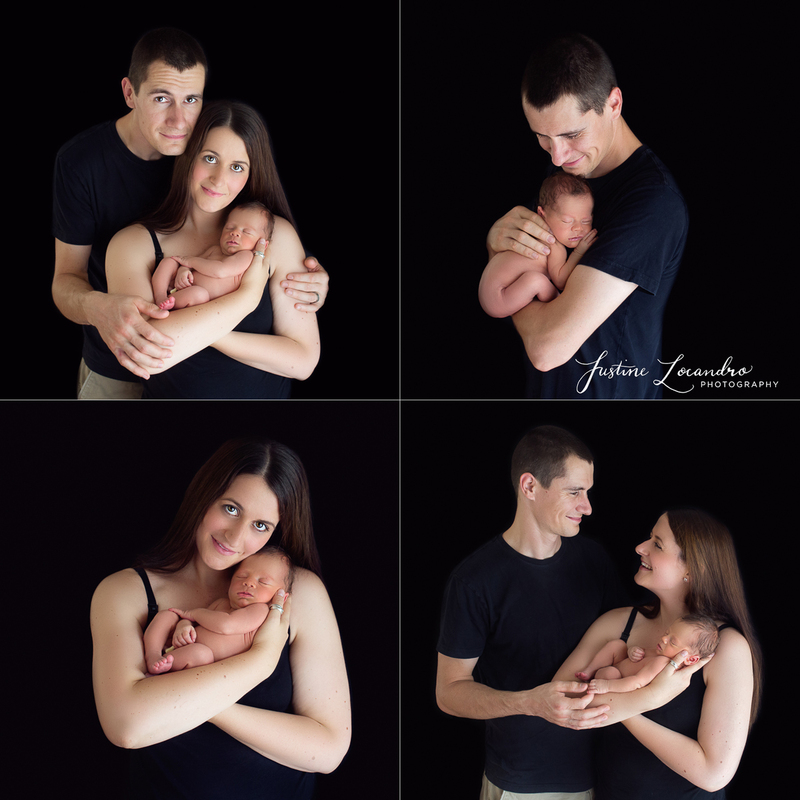 There is something extra special welcoming first time parents into the studio. 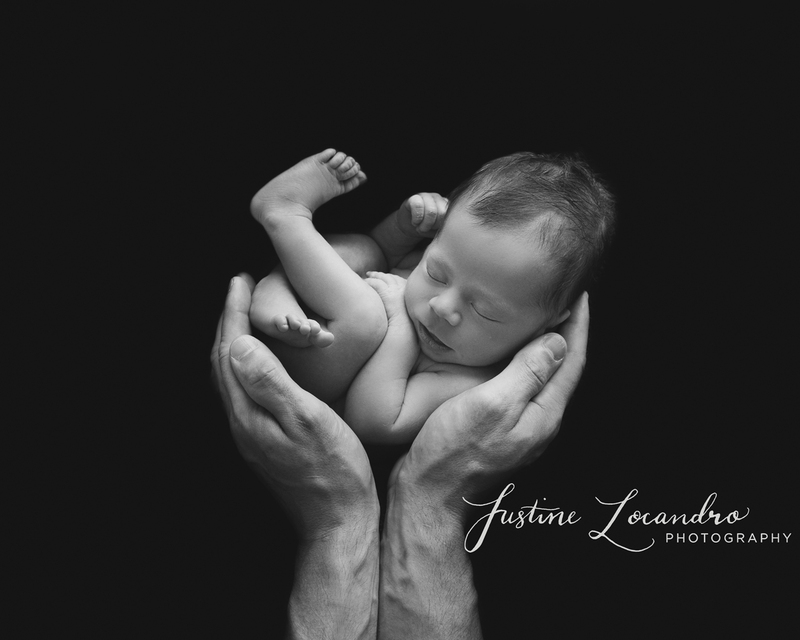 I am always overwhelmed by the joy, excitement and pride when parents enter with their newborn. They are only days into parenthood, yet they already have such a strong and unbreakable sense of family, and of course, are completely smitten! A few weeks after a session, I invite parents back to the studio to see their full gallery of finished prints. Their reaction to when they see their photos is my favourite part of being a photographer. It’s also a constant reminder to the power and importance of capturing moments in time with photography. 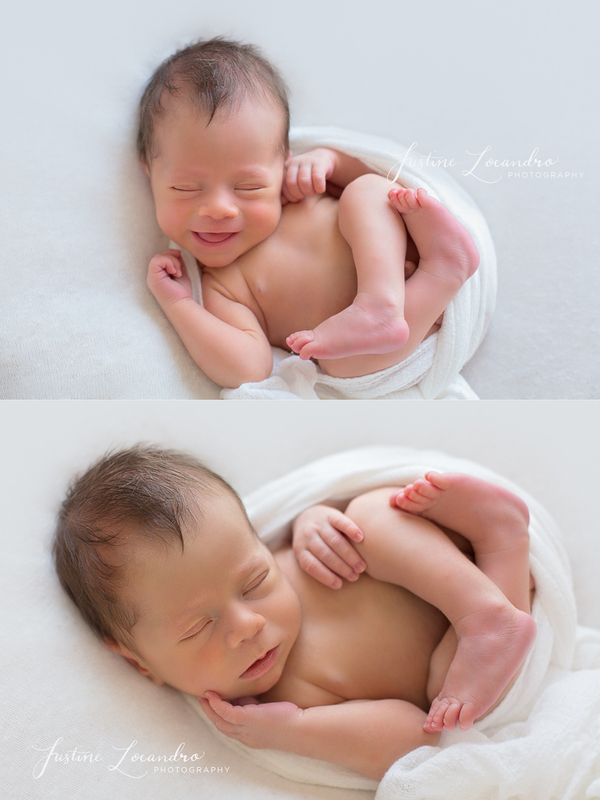 Charlie was the ultimate little model, allowing us to get plenty of variety into his newborn gallery. And that impressive head of hair!! 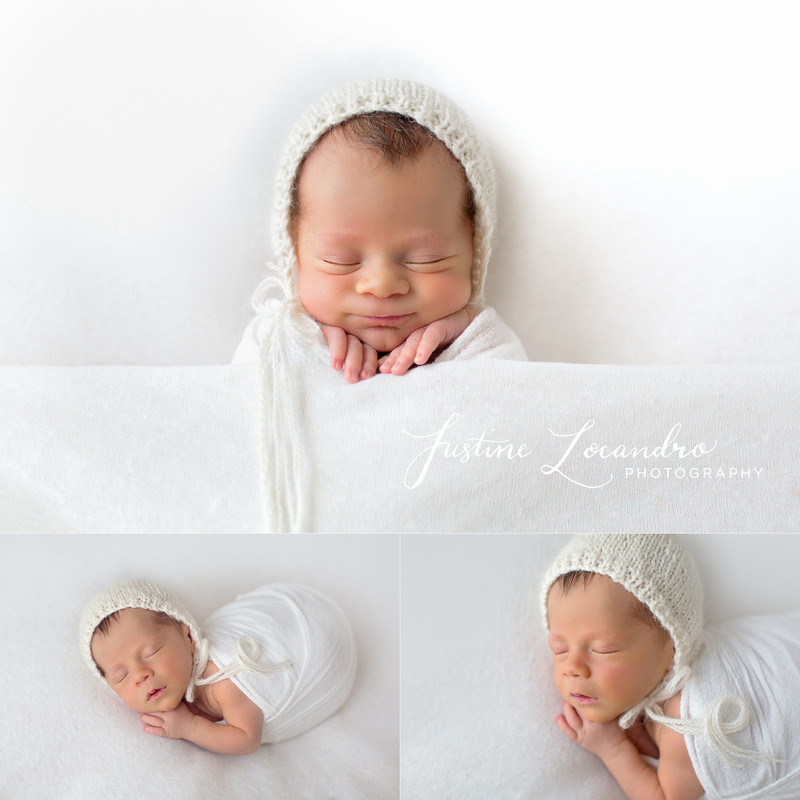 We decided to keep the colour palette neutral and to focus on capturing those classic, curly, newborn poses. 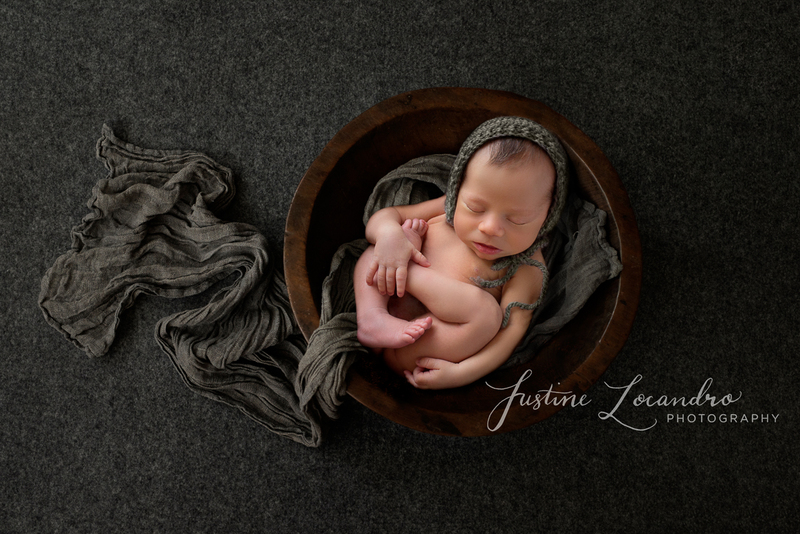 A big thank you to Casey and Jim for choosing me to photograph their darling boy. I hope you both love these image forever. Below is a small collection from Charlie’s gallery. 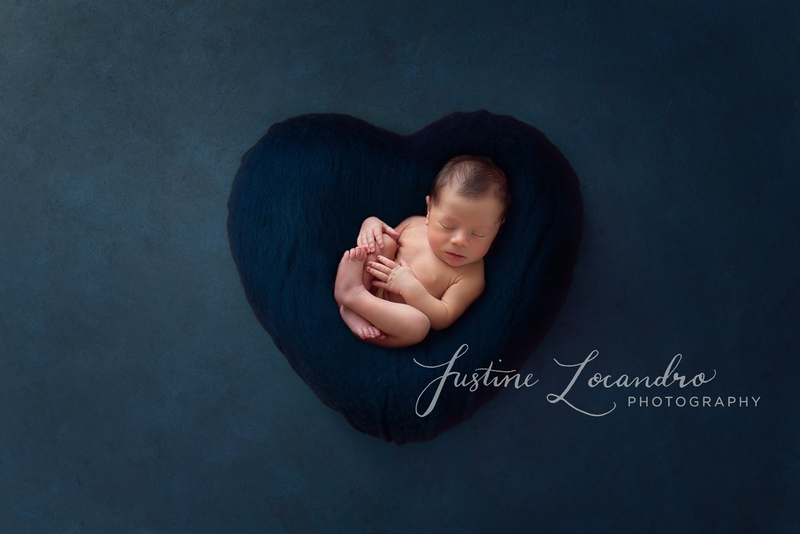 If you would like any extra information about my newborn sessions please feel free to contact me at https://www.justinelocandro.com/contact-me/ . Or check out my frequently asked questions page https://www.justinelocandro.com/faq/ . I’d love the opportunity to discuss your session and answer any questions you might have. I offer a pre-session consultation to make sure we are getting the images you love. Sessions are customised to work for you and your child. Finally, thanks for stopping by! 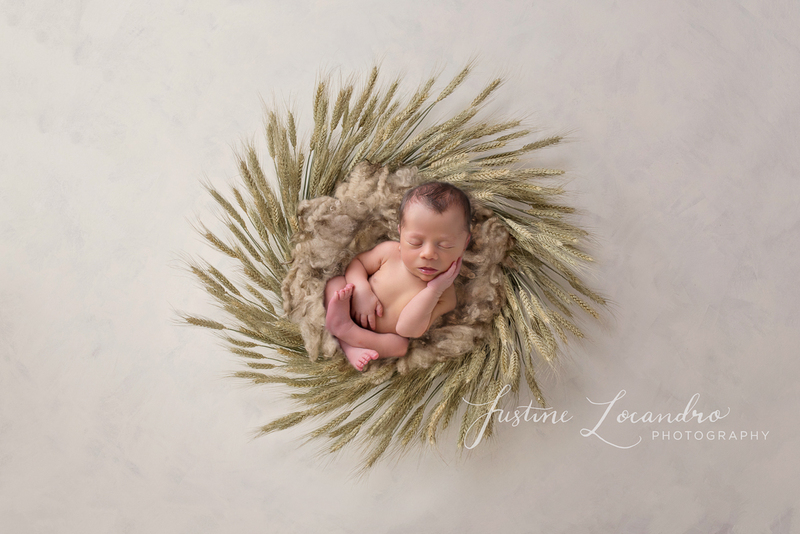 I’d love to hear your thoughts and experiences on newborn sessions or answer any questions. Feel free to leave a comment at the end of blog. Also, if there’s a topic you’d like me to create a blog on leave a comment and let me know!